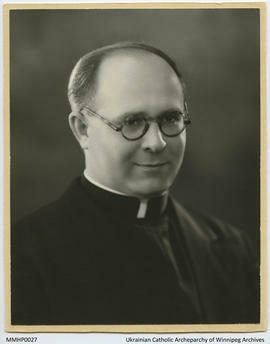 The Metropolitan Maxim Hermaniuk fonds is comprised of papers from all phases of his life, study, and vocation in Europe and in Canada. The textual material includes extensive studies of local, national, and international importance in wide-ranging areas of social interest; official documents of the pre-Vatican and Vatican II Councils; correspondence from the private to the official level throughout his lifetime; material tracing preparation for the Papal visit to Canada in 1984, and the Millennium of Christianity in Ukraine celebrated in 1988; and numerous publications either written by Metropolitan Hermaniuk, or of interest to him. According to notes written by Nick Yakimishyn at the time, the materials were organized in general categories by Metropolitan Maxim Hermaniuk, and placed into an artificial order by Nick within those categories. With the exception of material added to the archival holdings in December of 2003, and material stored in a green trunk unknown to Nick, during the Control of Holdings project, 2003-2004, the imposed order has been respected. The items in the green trunk were boxed by Patrick Firman during the summer of 2001 while he was recording the inventory of the Archives; and the material brought from the Bishops' residence was listed and boxed by Gloria Romaniuk in December 2003 and January 2004 according to the boxes of origin. 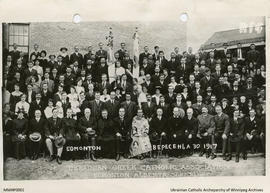 A finding aid is available at the Ukrainian Catholic Archeparchy of Winnipeg Archives.